Happy Happy !!! Better late than never so, here they are. Big oops, I did the white nails on my right hand as you can see…..ya so, I guess doing them up side down wasn’t the greatest idea. Well, that’s what this blog is all about learning and teaching. I sure taught myself that’s for sure. 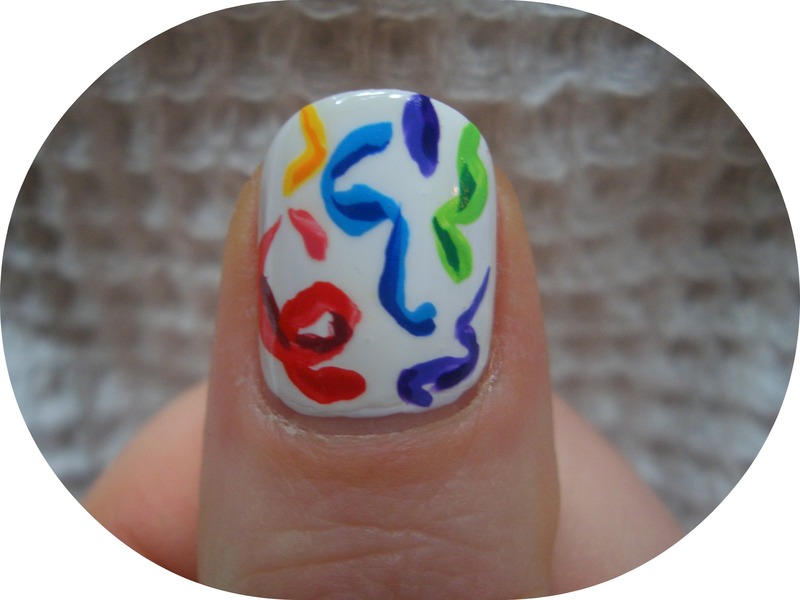 I got these great nail ideas from : simplyrins and chalkboardnails both of these ladies have amazing sites so, check them out and be a fan as well. 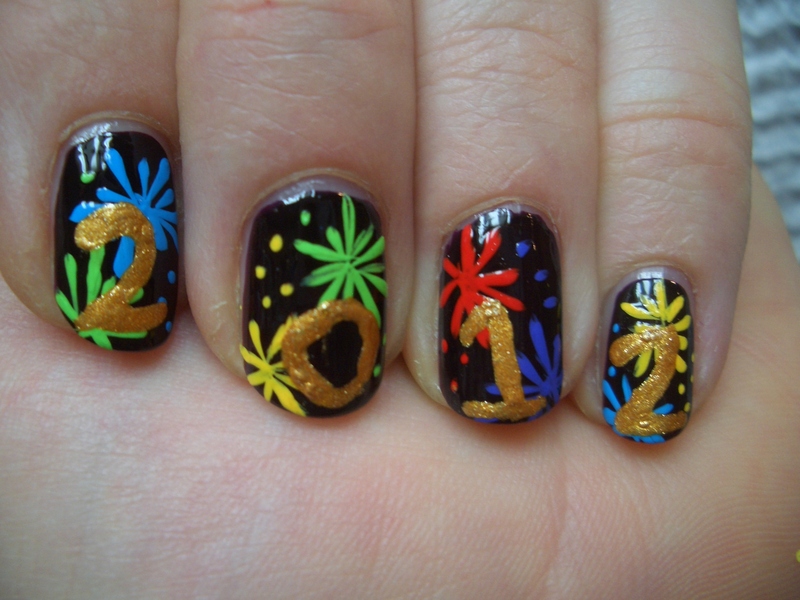 Here, I took simplyrins fireworks and added on top Orly Glitz for our New Year 2012. The base is OPI Lincoln Park After Dark with acrylic paint, red, yellow, green, blue and purple. 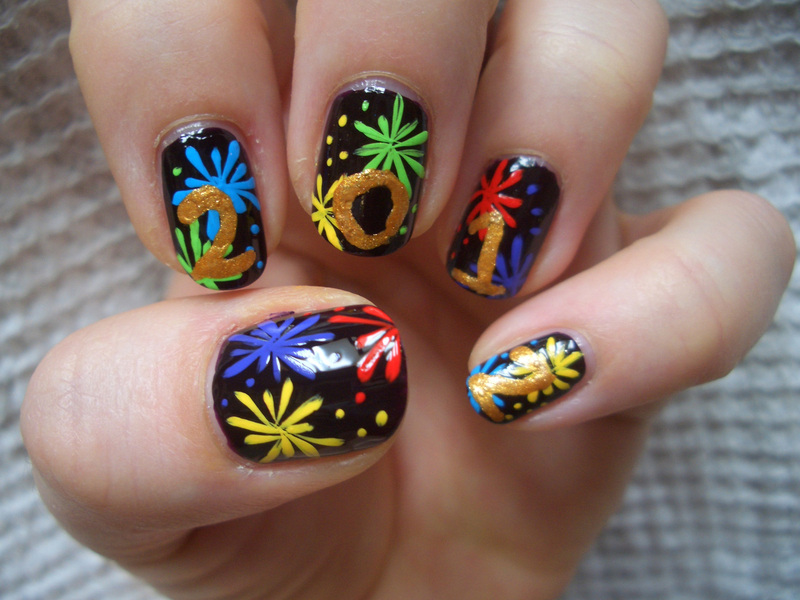 For my right hand I used chalkboard birthday nails for the idea of ribbons or streamers ( confetti even ) another type of New Year nails. This time, I used, OPI Alpine Snow for the base and the same Acrylic paints using the darker shade for highlights on the streamers/ribbons. 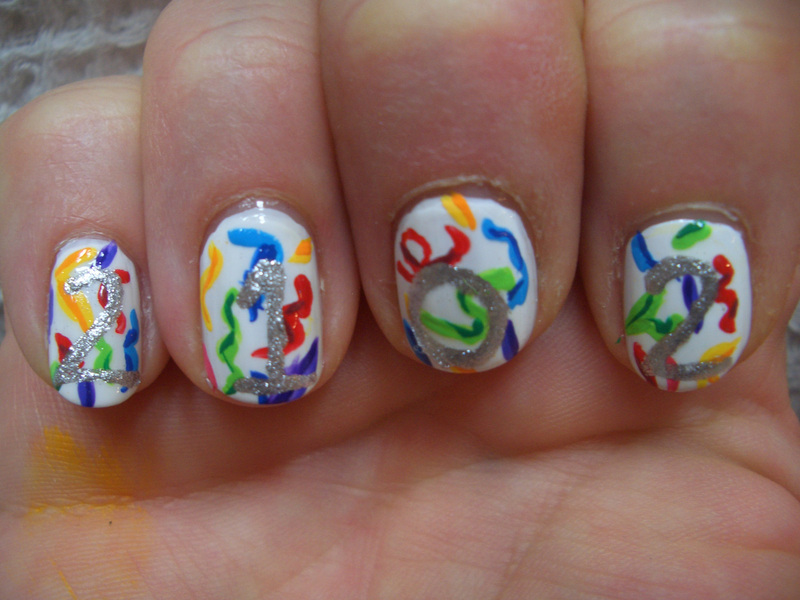 Adding on top Orly Dazzle for 2102. Pretty big mistake, I know. To make it even more funny for you guys I didn’t even clue in until well after the top coats have dried. Yup loser !! Have a wonderful New Year everyone !! !